The beginning of Kommune Niederkaufungen illustrates that a group of engaged people can bring a new way of living once they meet and share their dreams. Over thirty years ago, a group of idealists created a different life for themselves, an alternative economic system and lifestyle within a commune. This strategy for changing the system contrasts with the tendencies of modern social movements that choose short-term mobilization and loose networks. 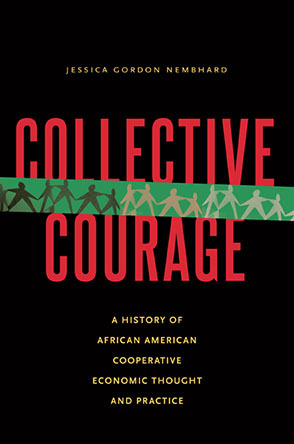 It is interesting to study the example of this successful commune to explore collective action, self-organizing, and social change. The result is impressive: an egalitarian commune of about 60 adults and 20 children sharing income and resources according to one's needs. They apply consensus in the decision making instead of majority voting system: discussions last until a satisfying solution has been found. In exceptional cases, veto of 4 members can block a decision. In 1983, 12 friends started to work on their dream. Soon they became 20 and other 20 people joined, friends of friends. They wrote a manifesto. They organized information meetings. They started an information campaign and searched for funds. Over 3 years of campaigning and preparing the inception of the commune, about thousand people came into contact with the group. 28 adults and 10 children moved together to try out communal living and sharing resources. Women and men circles fostered building trust and self-awareness to prepare for challenges of communal living. At the end of 1986, 17 adults and 3 children moved to the house that was bought with collected resources. They renovated the building, which was too big for the group at that time. Since then, they acquired other buildings, two summer houses, and land for agriculture. They dispose of 2000 square meters of living space. Living in the commune feels like a school class or a big family with many siblings. There are 16 flat-sharing entities in the commune. They use together library, office space, laundry consisting of 3 washing machines, garden, ping pong table, cinema room and other spaces. They also share cars. Part of the food is provided by agriculture collectives. They produce vegetables, meat, fruits, and cheese. They eat together. Food is prepared in industrial kitchen. Members either work outside or contribute to the work collectives, commune's enterprises. Work collectives decide about the organization of work among themselves. There is no labor quota to be fulfilled but the economic survival of the enterprises imposes effort and organization. Some of the enterprises hire people from outside because of the lack of skills and willingness to work in a particular professional domain. Child rearing and service to the commune is valued as a work contribution. Even political activities outside of the commune can count as a contribution. Members who want to take time off or spend much time on other activities need to arrange it with their colleagues from work collectives. Non-parents can also contribute to child rearing. Every adult also contributes to cleaning communal spaces and cooking. Work in the commune has a different character because private and professional lives are merged together. It is easier to find solutions that would will accommodate needs because work collective members know each other very well. They may decide to reduce working hours when someone needs to cope with other challenges However, such an intensity may be also exhausting. Some interviewees talked about a difficulty in finding a distance and balance between private life and community participation. Being surrounded by people all the time overwhelms some members. The commune has also a flexible attitude to spending. Individual salaries and income of the enterprises operated by the commune goes into the common budget. Members can spend money according to their needs, which is an alternative to capitalist redistribution. Their estimate is that the difference between least spending and most spending member is one to ten. Personal decisions on spending and awareness how others spend communal money was considered by some interviewees as a part of personal growth that living in a commune stimulates. Purchases for over 150 Euros need to be made transparent to the community. Members may ask about the reasons for spending or give advice. Although there are no rules regarding what one can spend money on, transparency may have a regulating effect. There are unspoken rules or taboos around using plane and going to far places. This is probably why some members wanted to hide that they went to Majorca. Thinking about living in a commune, many fear that differences between people may make such a project impossible. The example of Kommune Niederkaufungen shows that it is possible to live together without agreeing on everything. Some animosities are expressed in an indirect way. For example, people who work more or their enterprises bring better earnings may mention it in passing to others. Some people do not talk to each other for years after a conflict. They may avoid the resented person and gossip. Some people feel frustrated because decisions and changes in the life of the commune take such a long time. Discussions in groups to understand different standpoints on an issue causing a conflict also may take time. Relations between members are sometimes difficult. There are initiatives in the commune to improve them. For example, a third party – a mediator – may step in to help people communicate. Many informal exchanges take place. However, in some cases resentments are held for a long time, which is often caused by not knowing and understanding the other. Some members participate in group therapy or individual therapy. Conflicts and confrontations were appreciated by several interviewees as a tool of self-inquiry and personal growth. Living in a commune is not easier than in the mainstream society – it is challenging in a different way. Gajewska, Katarzyna (2017): Kommune Niederkaufungen – jak się żyje w 60-osobowej wspólnocie. [Kommune Niederkaufungen – on living in a 60 – person commune], in quarterly Nowy Obywatel [New Citizen]. Kommune Niederkaufungen consists of about 60 adults and 20 teenagers and children. It was founded in the late 1986, after three years of preparing and campaigning. They are a left wing group, with positions that range from radical and social feminist, through green/ecologist standpoints, over Marxism and communism, to syndicalist and anarchist positions. Many communards are active in political groups and campaigns in Kaufungen and Kassel. Nowadays, they are economically autonomous. Their enterprises include elderly daycare, child daycare, training in non-violent communication, a seminar center, catering and food production, and carpentry. Some members are salaried outside of the commune. To become a member, one needs to give all the property and savings to the commune. However, it is possible to negotiate a sum of money in case of exit from the commune to start a new life. To read more about the commune, see here. Gajewska, Katarzyna (May 2018): Practices and skills for self-governed communal life and work: examples of one US and one German egalitarian community. Paper for Co-operative Education and Research Conference 2018: Skills for co-operators in the 21st century. Katarzyna Gajewska, PhD, is an independent scholar, workshop leader, and transformational guide. She has been publishing on alternative economy, non-digital peer production, universal basic income and collective autonomy since 2013 and is mainly interested in psychological and emotional aspects of transition to a postcapitalist society. She interviewed dozens of members of two egalitarian communities (also called communes), rural Acorn community in Virginia, US (consisting of 30 adults and one child at the time of research in 2014) and suburban Kommune Niederkaufungen near Kassel, in Germany (consisting of 60 adults and 20 teens and children in 2016). You can contact her by e-mail (k.gajewska_commATzoho.com) or Facebook for public speaking, workshops, consulting, and research collaboration. Publication list can be found here, for updates and events see here.